Victoria stayer Yogi will be out to make his mark in the $1.5 million Tancred Stakes at Rosehill. A weight-for-age win would be a bonus but it isn’t out of reach for proven two-miler Yogi who will make his Sydney debut in the Group One Tancred Stakes at Rosehill. 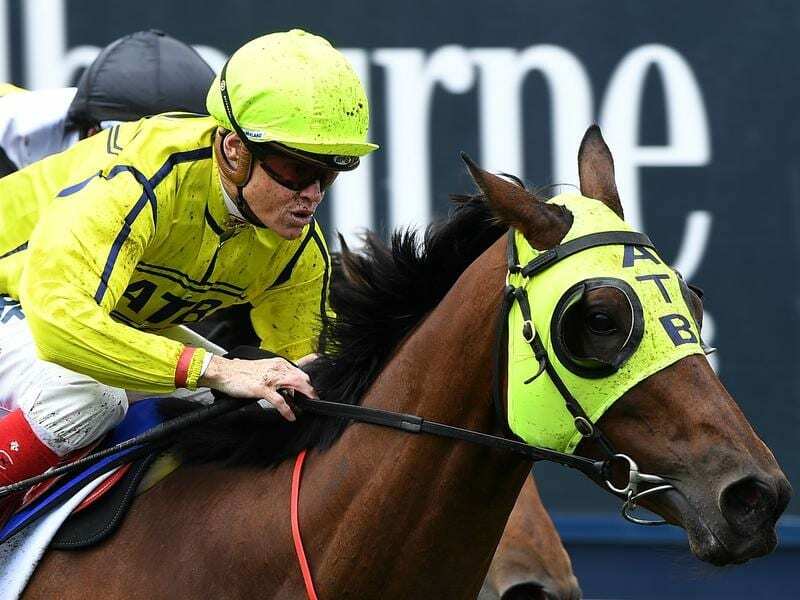 The Victorian-based six-year-old will arrive in Sydney on Thursday ahead of Saturday’s 2400 metres assignment. The feature race on the program, the Tancred has attracted a full field plus emergencies and includes Godolphin’s Avilius, who will back-up from his Ranvet Stakes victory, along with wet-track specialist Red Cardinal and the Chris Waller-trained pair of Brimham Rocks and Patrick Erin. The $1.5 million race will be Yogi’s first start in the clockwise direction but David Eustace, who trains in partnership with Ciaron Maher, doesn’t expect the horse to have any problem adapting to racing in the reverse direction. “He’s not a horse that strikes us that going the other way will be a major issue,” Eustace said. “He’s an older gelding and he seems to take everything in his stride.” The winner of the Sandown Cup in the spring, Yogi produced a barnstorming finish to win first-up over 1800 metres at Caulfield last month and made late ground when midfield in the Australian Cup (2000m), his first test at weight-for-age. Eustace and Maher have been on a learning curve with their new recruit this campaign but are satisfied Yogi is poised to execute a Sydney Cup plan formulated last year by managing owner Darren Dance and former trainer Darren Weir. “It was Darren Dance’s plan and ‘Weiry’s’ plan so we’ve just tried to carry that out as best we can and he seems to be on the right track at the moment,” Eustace said. “He won first-up when we’d just got him then we just ticked him over at the beach and we thought he ran a really nice race in the Australian Cup. “It was a strong and eye-catching run from a genuine two-miler. “It’s arguably not the strongest Tancred you’ll see and it’s a race I think he can be competitive in.” James Cummings has confirmed Avilius will back-up in the Tancred after bouncing back from an Australian Cup defeat as favourite with an emphatic win over 2000 metres in the Ranvet. It is the first time Avilius has competed on a seven-day turnaround and Cummings is confident the horse will relish it. “With an unbeaten Sydney record at stake and with the best weight-for-age credentials of any runner, he appears to be perfectly placed for the quick back-up,” Cummings said.